She was actually one of the first classic actresses I was intrigued with. If I remember correctly TCM showed quite a few of her films in 2007. I’m not sure if this was when she was Star of the Month, I’m pretty sure I was a fan by then, and I was just enthralled with her. I haven’t looked back since and can say I have seen just about every single one of her films. I wish she was more well known but I suppose her studio Warner Brothers putting her into B movies later on in her career, in an effort to make her quit, could have something to do with it. Much like Norma Shearer quitting movies early on. 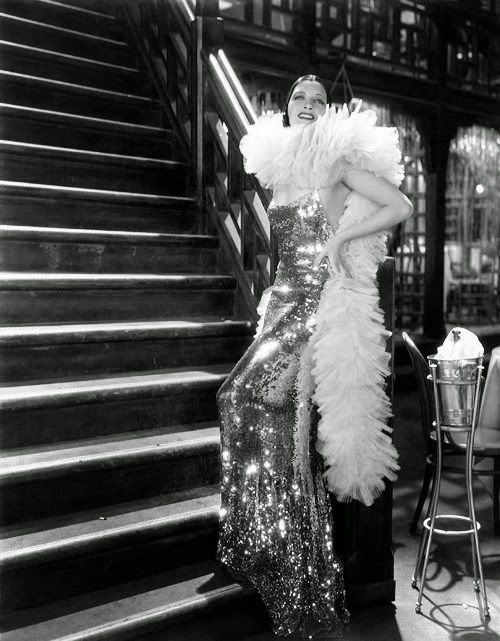 Nevertheless here’s to you Kay Francis you wonderfully, beautiful creature. October is probably my favorite month out of the year. It’s my birthday month, the official beginning of my favorite season Fall, and most importantly it’s Halloween. Every year I opt to stay in on Halloween night and watch a marathon of Halloweenish movies. Now, I am a big scardey cat when it comes to horror films and I do not like any form of gore so my list of movies I watch are very tame yet still either have a spookiness about them. I’ve compiled a list of films I plan to watch this year, if I haven’t already yet. Here we go. This is a semi-typical Ghost Story or is it? 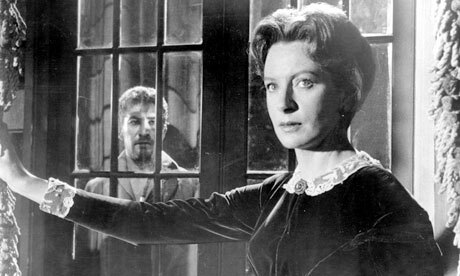 This film follows Deborah Kerr as she takes up a new job to care for children in a huge terrifyingly creepy house. The children are just as creepy. What makes this film so great is the ending. Were there really ghosts or was it all in her head? Watch and find out. 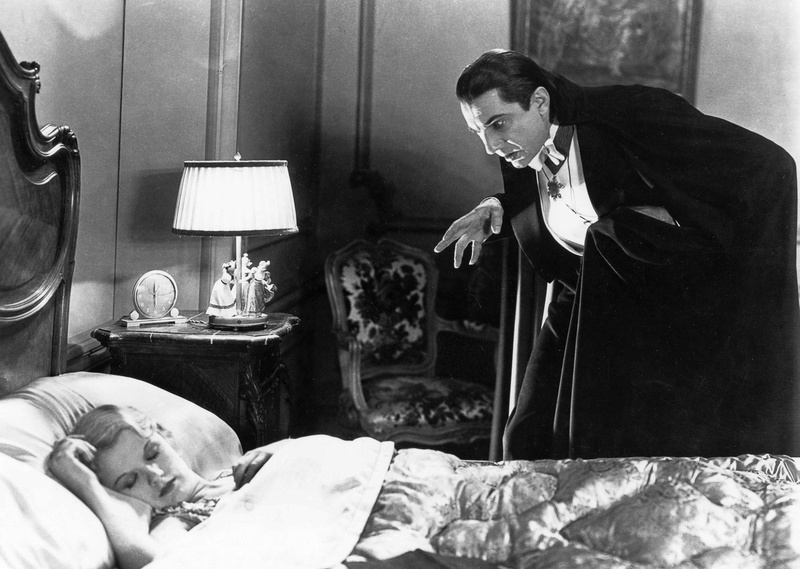 The ultimate horror movie classic starring the incomparable Bela Lugosi. He was the perfect Dracula. He perfected and originated the role on stage and in film and continued to play the character well into his later life. He just was Dracula. He brought a suave and mysterious edge to it and formed the image we have in our minds of Dracula. It’s a must see classic for Halloween. His son Bela Lugosi Jr. just had two screenings for the film along with a talk and autographs about an hour from where I live and I missed out, still bummed. 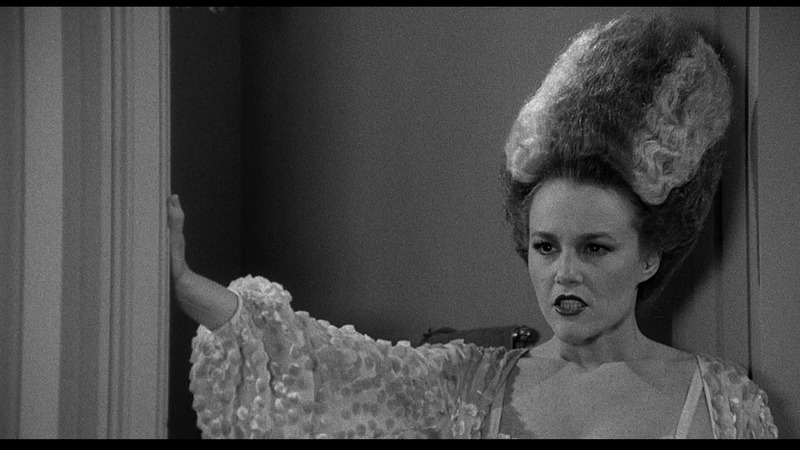 This film is super important to me because it introduced me to Mel Brooks films and the amazingly wonderful talent, Madeline Kahn. Who does spoofs better than Mel Brooks? This film isn’t spooky in the least but he takes a classic movie monster film and give it that Brooks touch. It’s wonderfully funny, perfectly cast, and beautifully shot. The music happens to also be very beautiful. If anything see this movie for Madeline. Her voice is perfection and no one tops her comic ability. True one of a kind. You’ll be hearing alot about her on this blog in due time. 4. Whatever Happened to Baby Jane? I can hear “I’ve written a letter to Daddy.” right now. This isn’t necessarily a Halloween film but the creepiness that is Baby Jane passes. Baby Jane would make a brilliant Halloween costume too. There really isn’t much to say about this film that hasn’t already been said. 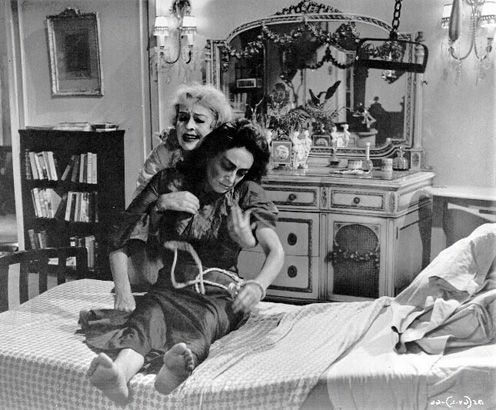 Joan Crawford and Bette Davis are two of my favorite actresses I loved seeing them play off of each other. This was also one of Bette’s best roles. Her genius of reapplying the harsh white makeup over more makeup and building it each filming day was brilliant. Children can be creepy but there’s nothing creepier than an adult acting and dressing like a child. 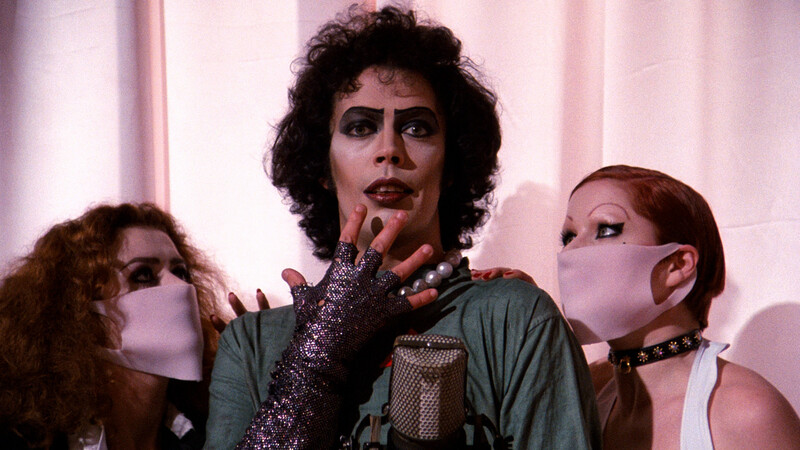 No Halloween list is complete without The Rocky Horror Picture Show. Whether you attend the many nationwide midnight screenings or watch it every year on cable television it’s a must. This year it will be playing Halloween night on LOGO. Between the songs, the craziness, and the costumes it’s an enjoyable fun film. Don’t dream it, be it! An underrated gem. 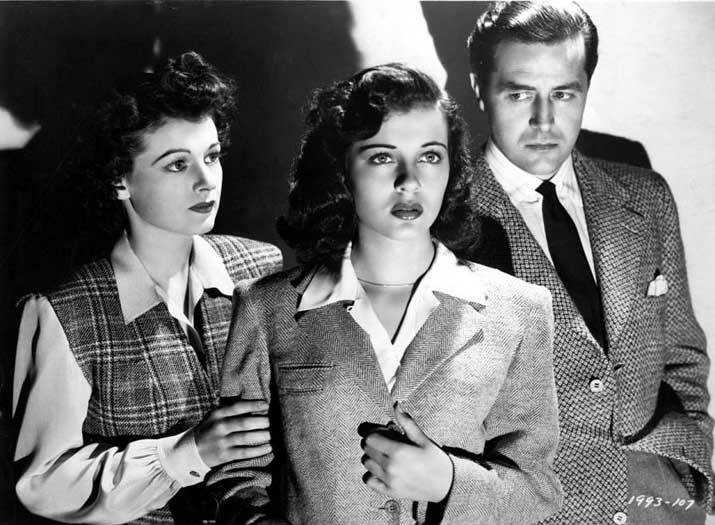 This haunted house story stars Ray Milland, Ruth Hussey, and Gail Russell. It’s beautifully shot, modern in a way that it still holds up years later and gives you that eerie feeling as you watch. It’s become such a favorite over this past couple of years. Gail Russell is such a haunting beauty. Her real life makes me sad. She didn’t want to act but you would never have guessed this by her scenes in this film. And Ray Milland is everything, do I really have to sell him to you? Luckily it’s been released on Criterion Blu Ray and DVD as it deserves. I think if I had to choose just one film from this list for you to watch it would be this. 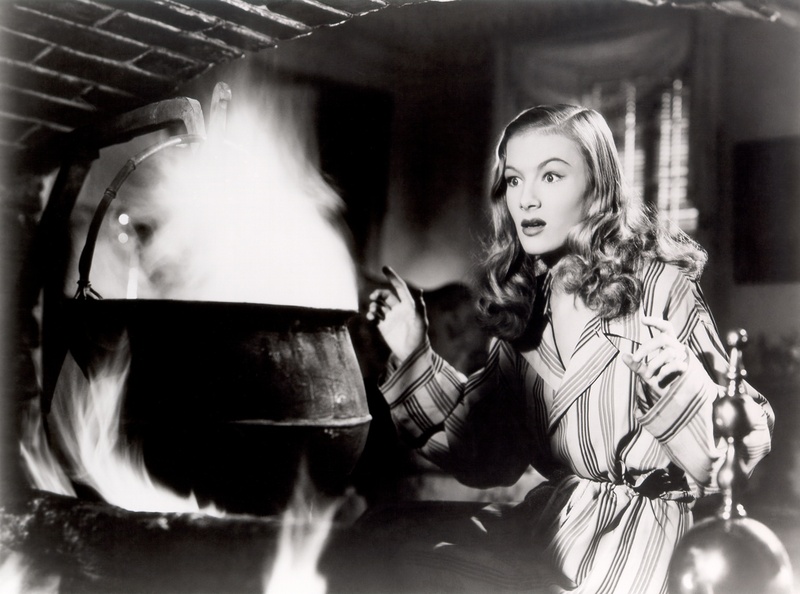 I’ll admit it took me a couple of films to warm up to Veronica Lake but once I did I found her extremely lovely. This film is perfect for Hallowen because witches! Who doesn’t love witches and magic. Veronica stars as a lovely witch and as the title suggest she gets married to a human. Laughs ensue and it’s just a really unique film with a very cute ending. Another beautifully restored Criterion title! I had to include a silent in this list and what better than the all time best Nosferatu. Another Dracula tale only this Vampire is particularly scary in appearance and demeanor. The way he floats up those stairs and just stares at his victim with a blank expression and those teeth. The hands! Yikes. Creepy as it gets. Watch late at night for full effect. This film always! Cary Grant I mean. And Priscilla Lane whom I love dearly. What’s better than Boris Karloff being told he looks like Boris Karloff and sweet little Aunts killing men? I just have a thing for haunted house movies I guess. But this one deserves a watch. 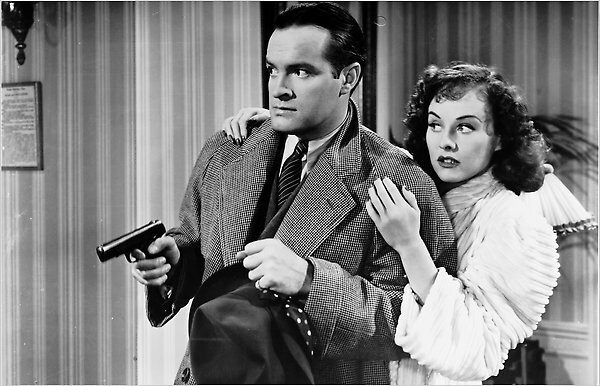 It’s a comedy-thriller in a way with Bob Hope and Paulette Goddard. Paulette inherits this big mansion in Cuba and is warned against going to it because of haunted rumors. Bob Hope tags along when he is mistakenly considered a suspect in a murder racket. There is a twist ending so I’m not going to say much more! There are ghosts, zombies, and a creepy house. All you need to know! I’m one of those people that have a bucket list, only mine is related to classic film. There are tons of places I want to see and most importantly films I want to see on the big screen. There arn’t showings where I live very frequently, if at all, so when it happens it’s special. So far I’ve had the pleasure of seeing The Wizard of Oz(three times!) City Lights with orchestra, It Happened One Night, and Singin’ in the Rain. 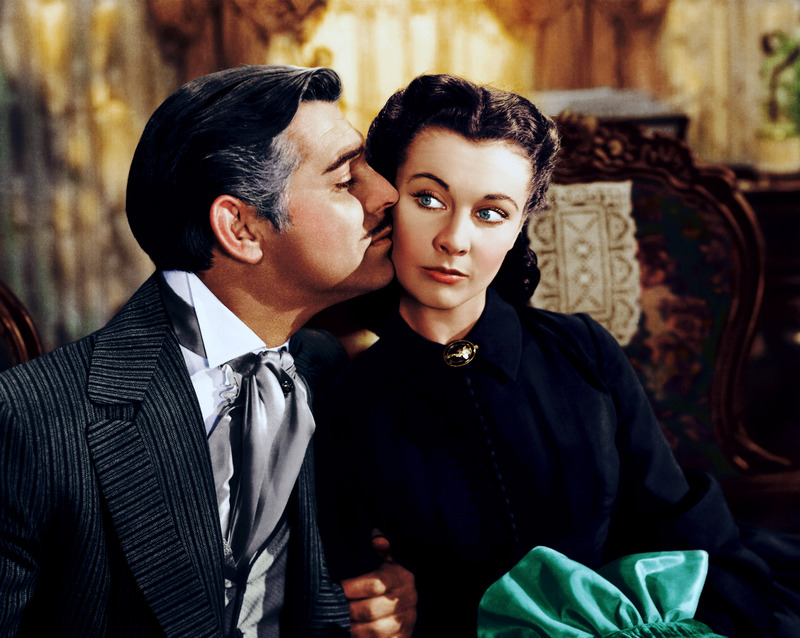 Gone With the Wind was always my number one dream and I honestly never thought it would happen. So when TCM announced they were celebrating the 75th anniversary by having nation wide screenings I think I cried. I know I bought tickets before the commercial even ended. I went to the first showing on September 28 at 2 pm. It was a theater I wasn’t too familiar with, had to get directions, and it ended up being located in a really great city I hope to visit more often. I arrived an hour early mostly to allow myself time to find the theater and to get a good seat in the front so I could really just take in everything. When I got there a line was already formed! I was so happy interest was out there for this film. I got to sit where I wanted and when Gone With the Wind rolled across the screen and Tara’s Theme played I had to hold back tears. I never dreamed I’d get to see this on the big screen in all of it’s glory. Before going I was a little daunted by sitting there for four hours but it didn’t feel that long AT ALL. If anything it flew by and felt like an other movie. It was interesting watching on the big screen because I was forced to sit and watch the whole thing without distraction or interruptions. Usually when I watch the film at home I get up or do chores but watching it all the way through was something I haven’t done in a while. It made me notice things I haven’t noticed before which I thought was impossible being a lifelong watcher of this film. But it happened. I ended up connecting the scene where Rhett wakes up Scarlett from a nightmare and she mentions that in her dream she couldn’t find something and there was tons of mist and she was looking for something. One of the final scenes in the film has Scarlett running through the mist calling out to Rhett. I wonder if they are connected? I’m just so grateful I’ve had this opportunity. Thanks to TCM and Fathom Events. Please keep showing classic films! I’m still alive and just as crazy about classic film as always, if not more. I’ve grown to love an array of stars since last updating this blog and with my new favorites and acquired knowledge I plan to revive this blog and place my thoughts and sometimes fangirl flailings here. I have a lot to say and I can’t wait to start posting here again! Book fair season is upon us. Why am I bringing up book fairs here? Well, it’s where I find almost every old hollywood related book I own! As you can see in the above photo one day of browsing book fairs can be quite successful in great finds. Not sure where to find book fairs in your area? Google ‘book fairs in (insert your city here)’ and results should pop up! Every year I visit the Greater St. Louis Book Fair and various fairs held by my local libraries. Libraries always have amazing prices and you can sometimes find killer steals. Larger books fairs not held by libraries can be more expensive but still affordable. Not only will you find great biographies and picture books on your favorite old hollywood stars but they also most of the time have movies and cds! Most of the videos you see pictured were only 50 cents! Every year I find so many great finds that I end up having an armful of books! Bring tote bags or boxes to help you hold your books. I learned that the hard way lol. So head out to your local book fairs this year and you might find something you have always wanted! Have fun browsing! And don’t forget to show up early to get first selection! Find local book fairs in your area by searching online or looking in your newspaper. Make sure to bring a tote bag or a box to fill up with your finds! There is no way you can carry everything, believe I know! Bring smaller bill amounts such as $1s, $5s, & $10s. Most items are very cheap so small bills are easier. But bring a $20 just in case you end up spending $70 like I always do lol. Bring a friend! Two are better than one. I bring my sister to help me find books faster or even ones I have overlooked. Get up early and arrive 20 minutes before the book fairs opens, sometimes even earlier for larger book fairs. Hit up the biographies/entertainment/misc. sections first. This is where I find everything. Next check out the media section where the videos and cds are located. You will find great films ranging from 50 cents-$4.00! Mostly I find videos, but hey if it’s a film you’ve always wanted to see why not? And plus there are some films that are not on dvd yet! Most importantly have fun! Book fairs can be very busy and there are people everywhere. So don’t get pushy, be polite, and you may even strike up a conversation with someone with the same interests as you! Virginia Katherine McMath aka Ginger Rogers is TCM’s Star of the Month for March. Most people only know her through her films with Fred Astaire so this is a great chance for everyone to see her do so much more on her own. When I first became a classic film fan I wasn’t really drawn to Ginger in her films with Fred. But I saw the fantastic film Stage Door and instantly liked her in that. I became a fan of hers and started to watch more of her films such as Bachelor Mother and Kitty Foyle and only then I started watching her films with Fred and finally enjoyed them. Let’s explore he career with and without Fred. Ginger’s career really started after she won the Texas State Charleston Championship. No surprise she won. After winning part of the prize was to get to perform at various theaters in Texas. She chose the two runner ups to come along with her and they became an act. When her two co stars moved on to another act Ginger married at 17 to an actor she had a crush on since her youth which didn’t last long. After her short marriage Ginger was cast in a Broadway show called Top Speed. She was noticed by critics for doing very well and being very charming. Paramount took notice as well and signed her to a seven year contract to make films at their studio in Long Island. During this time Ginger starred in the Broadway hit Girl Crazy. This is where the classic Gershwin songs ‘Embraceable You’ & ‘But Not For Me’ were introduced and are some of my all time favorites. This musical was later made into a film by Judy Garland and Mickey Rooney with the same title. When Girl Crazy came to a close Ginger moved to Hollywood. Her earliest films weren’t anything spectacular until she got a part in the film Gold Diggers of 1933. She sang ‘We’re in the Money’ in pig latin, at her suggestion, and it became a hit during the depression ironically. 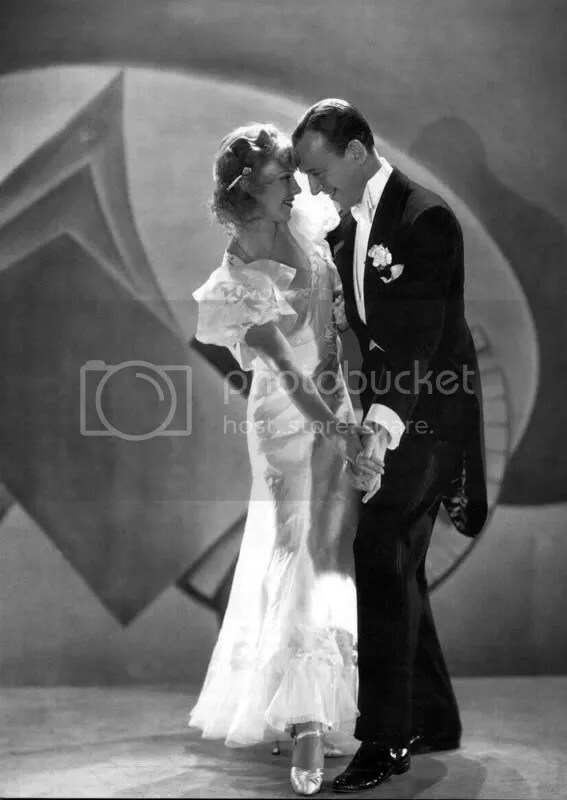 The year 1933 was the turning part for Ginger she made ten films including her first film with Fred Astaire. Fred and Ginger met earlier before though. He helped stage some dances in one of her broadway shows and they actually went on a date and had a little make out in the back of a limo but nothing happened after. The film that started it all was Flying Down to Rio. Their dance The Carioca became an instant hit. The film’s success helped the RKO studio which was not doing very well at the time, so they instantly were trying to find another vehicle for these two stars that had helped them out of their rut. Gay Divorcee was their next film and eight other films followed starring the dancing duo. 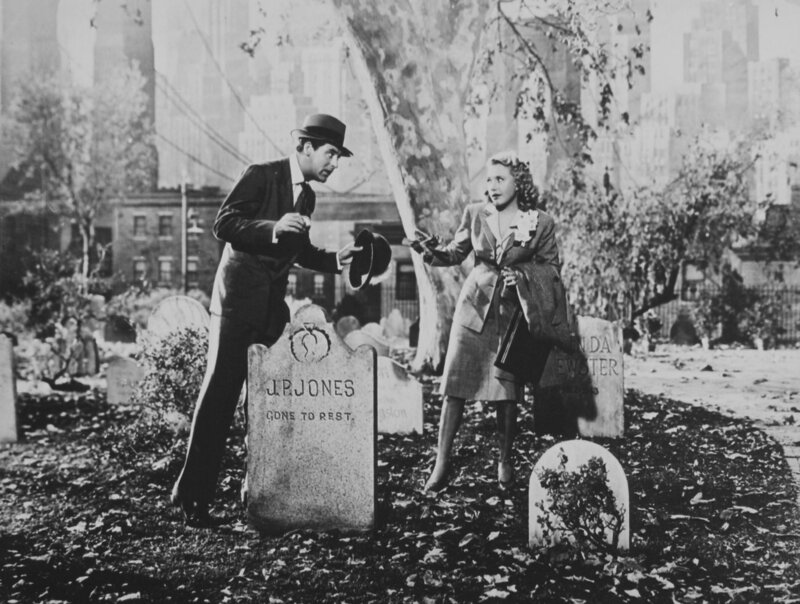 The last two films they did before going separate ways, for a time, were The Story of Vernon and Irene Castle and Carefree which weren’t really successful and ended their pairing. Carefree is actually my all time favorite Fred and Ginger film and is the only film of theirs where Ginger is seen on screen more and she gets her first solo The Yam which Fred deemed silly. Fred and Ginger wanted to do films on their own naturally. Ginger wanted to be seen as more than a song and dance girl but she also wanted to expand and try new things. This is where films like Stage Door and Bachelor Mother come in. In 1940 Ginger made the film Kitty Foyle, a great drama and change for Ginger, which landed her an Oscar win. The movie was made from a at the time racy book and Ginger first opposed making it but her Mother Lela convinced her, good thing. During the 40’s Ginger continued to make perfectly charming films such as The Major and the Minor directed by Billy Wilder, it was his first film. In 1949 Fred and Ginger were reunited one last time by chance in The Barkley’s of Broadway. Ginger was a replacement for Judy Garland who was unable to film it. 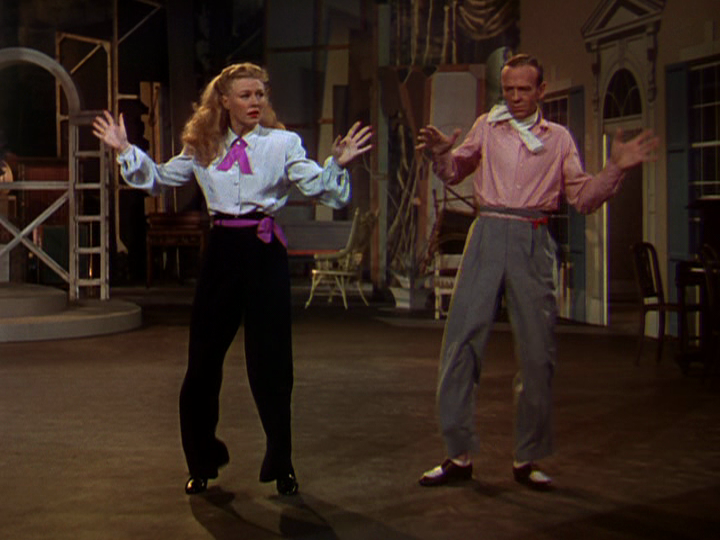 This would be the last teaming of Fred and Ginger and their first film shot in Technicolor. A Technicolor scene was planned for the dream sequence in Carefree but didn’t follow through due to expense. 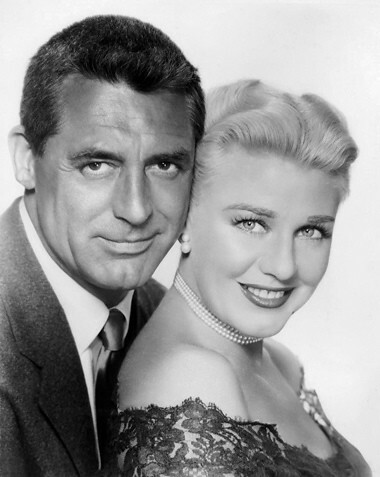 During the 50s Ginger continued her film career with films such as We’re Not Married and Monkey Business with Cary Grant. In the mid 60s Ginger quit making films since roles for older women were few and far between and she thought the scripts she was getting were too risque. She turned to the stage. She made appearances and starring roles in productions such as Mame and Hello Dolly! Her last stage appearence was in 1984 in Charley’s Aunt. Ginger passed away April 25, 1995. Tune in to TCM starting March 10 to see rare and fantastic films by Ginger Rogers, including the ten with Astaire, every Wednesday this month! 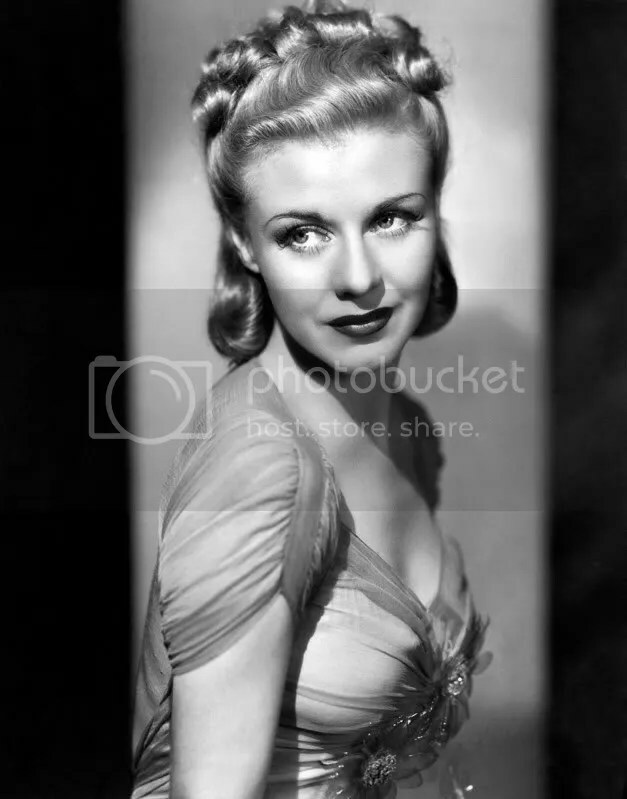 If you are interested in learning more about this wonderful lady I suggest you read Ginger My Story by Ginger Rogers. The book has been recently put back on the shelves as well as Step in Time by Fred Astaire. Both great reads. Ginger’s book is one of my all time favorite autobiographies. Thanks to tcm.com and Ginger’s autobiography for being my sources. As I am sure all of your classic film fans know, the great film The African Queen has oddly never been on dvd officially before. We all had to catch it on tv to watch it or tape it from tv. Well, they are finally releasing The African Queen on dvd and…Blu Ray! According to Amazon the film will also be released on dvd, in what I will guess might be a bare bones edition with little to know special features which has become tradition now in dvd/blu ray releases. The studios want you to buy those blu rays. But do not quote me on this, hopefully there will be a two disc dvd set like they did for North by Northwest so dvd users are not left out. Here is all of the details on the Blu Ray release. There will be a single disc edition as well as a collector’s set! Paranount Home Entertainment has announced that it will release ‘The African Queen‘ on Blu-ray on March 23. Meticulously restored using state-of-the-art 4K digital technology, ‘The African Queen’ will now be available for a new generation to appreciate and for long-time fans to see again, as if for the first time. 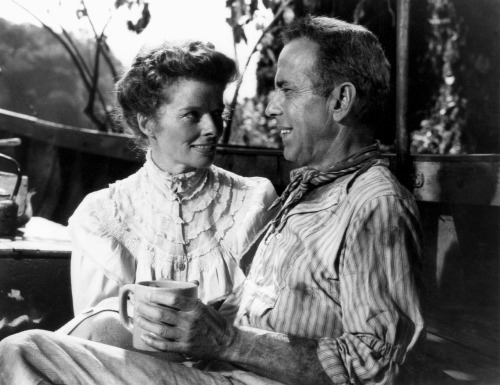 Legendary director John Huston’s treasured romantic adventure stars the incomparable Katharine Hepburn and Humphrey Bogart in a role that won him his only Academy Award. 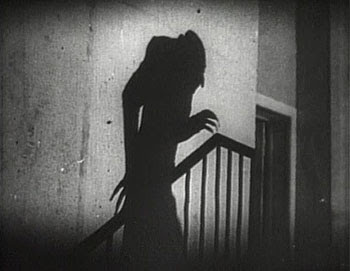 A six-year journey filled with challenges nearly as difficult as those faced by Rose and Charlie, the restoration process began at the source: Romulus Films —one of the film’s original production companies— provided access to the original three-strip negative at a London facility where the film was carefully scanned and digitized. The separate elements were then transferred to Los Angeles and painstakingly recombined and inspected frame by frame to ensure that every detail aligned and that any dirt and scratches were removed. To ensure that the restored picture matched the filmmakers’ original vision, Paramount arranged a screening of an MPAA archive print for the film’s original cinematographer, Academy Award winner Jack Cardiff, whose comments were recorded live during the screening. That same archival print was later screened alongside the newly restored version so that the restoration team could ensure that all of Cardiff’s notes had been addressed. The result is a vibrant, warm picture that reverentially recreates the film as it was originally meant to be seen. ‘The African Queen’ will be available as a single disc Blu-ray and also in a Commemorative Limited Edition Blu-ray box set. Embracing Chaos: Making The African Queen–This comprehensive documentary takes a look back at the production with commentary about the cast, the challenges of the filming locations and how the spectacular cinematography impacted the industry overall. Includes on-camera interviews with notable Hollywood icons, critics and crew members from the film including Martin Scorsese, Tony Huston, Richard Schickel and more, plus never-before-seen archival images and home movie footage provided by the estate of cinematographer Jack Cardiff.